Many times, an Administrative Assistant Job Description requires only a high school diploma or equivalent education, and a basic knowledge of computers. This is one of the reasons that this career field is so attractive to workers is the amount of education required. According to the most recent Bureau of Labor statistics (2011), Administrative Assistants make up the largest occupational group in the United States. 17% of jobs in this country are classified as Administrative Assistants or similar jobs. Put in plain numbers, that means that over 4 million workers have jobs that are considered to be Administrative Assistant positions, and the number is steadily increasing. The Administrative Assistant Job Description is very diverse. Administrative Assistants perform a variety of duties, largely determined by the needs of the office they are assigned to and the supervisor in charge. Common tasks are general typing and filing, and handling incoming phone calls. An Administrative Assistant Job Description may involve some type of customer service duties, whether it is working with outside customers, or providing support to other workers within the company. Many Administrative Assistants are in charge of ordering and office supplies and other inventory. Additional Administrative Assistant job duties may also include scheduling appointments and even booking travel arrangements for supervisors and co-workers. The salary of an Administrative Assistant varies by location. The most recent Bureau of Labor Statistics (2010), showed that the median income for an Administrative Assistant was $34,660 per year. This is approximately $16.66 per hour. This amount may be less in smaller cities and rural towns, and much higher in bigger cities and large metropolitan areas. For example, Administrative Assistants in Evansville, Indiana, a small city of around 118,000 people, made approximately $11 per hour in 2010. On the other end of the spectrum, Administrative Assistants in Los Angeles, California, a large city of almost 4 million people, made a little over $29.00 per hour in 2010. If you are interested in an Administrative Assistant job, we suggest you check out other positions that fall within the same career path. 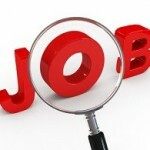 Job descriptions can be a great starting point in selecting an occupation as a career. They can be used as a resource to form an understanding of the role that each job plays within a company. Using job descriptions will also shed some light on the job requirements and how your background, skills and strength will fit in with the occupation. The job outlook for the Administrative Assistant career field is good – the Bureau of Labor predicts that this career will grow by approximately 12% between now and 2020. If you are a job seeker interested in a career as an Administrative Assistant, GoGetterCareers.com can help every step of the way. 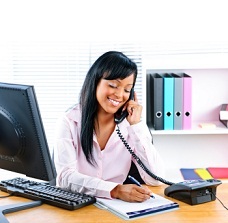 Our team of professionals can help you find an Administrative Assistant job in your area. We can connect you with professional resume writers that will write you a professional Administrative Assistant Resume. Other career resources including an Administrative Assistant Job Description and occupation information are available at GoGetterCareers.com. Thanks for every other fantastic article. Where else could anyone get that kind of info in such an ideal method of writing? I’ve a presentation next week, and I am on the look for such info. I will immediately grab your rss as I can not to find your e-mail subscription hyperlink or newsletter service. Do you have any? Please let me realize so that I may just subscribe. Thanks. Thank you for visiting our web site. Our mailing list can be found on the right side lower section of our home page. Hello there, simply changed into alert to your blog via Google, and found that it is really informative. I’m gonna be careful for brussels. I’ll be grateful if you continue this in future. Numerous folks might be benefited out of your writing. Cheers! Stands back from the keoyabrd in amazement! Thanks! Somebody essentially assist to make critically posts I might state. This is the first time I frequented your web page and thus far? I amazed with the analysis you made to create this actual submit incredible. Wonderful task! This is a comment to the webmaster. I came to your “Administrative Assistant Job Description | The Best Career Center Online Blog” page via Google but it was difficult to find as you were not on the first page of search results. I know you could have more traffic to your website. I have found a website which offers to dramatically increase your rankings and traffic to your site: http://seoaccelerator.net/order/ I managed to get close to 1000 visitors/day using their services, you could also get lot more targeted traffic from search engines than you have now. Their service brought significantly more visitors to my site. I hope this helps, happy new year! Between my staff, I like what you are doing on your website and I will check back from time to time for more great insights. Great work! It’s the best time to make a few plans for the longer term and it is time to be happy. I’ve read this submit and if I could I desire to counsel you some interesting issues or suggestions. Maybe you could write next articles relating to this article. I wish to read even more things about it! Really good blog, thank you so much for your time in writing the posts. I just want to mention I am newbie to weblog and honestly loved this web-site. Most likely I’m want to bookmark your site . You really come with awesome article content. Thanks a bunch for sharing with us your website page. Nice share and really informative post buddy, keep it up!!! Someone essentially lend a hand to make significantly posts I might state. This is the first time I frequented your website page and so far? I amazed with the analysis you made to create this actual post extraordinary. Magnificent job! Wonderful web site. Plenty of helpful info here. I’m sending it to some pals ans additionally sharing in delicious. And of course, thanks on your effort! Thank you for some other fantastic post. Where else may anyone get that kind of info in such a perfect manner of writing? I have a presentation subsequent week, and I am on the look for such information. Thanks for your entire hard work on this web page. Kim takes pleasure in making time for investigations and it is simple to grasp why. We all know all about the powerful way you render rewarding information via your website and in addition welcome contribution from some others on that theme so our daughter has always been starting to learn a whole lot. Enjoy the remaining portion of the year. Your carrying out a dazzling job. I just want to mention I am very new to blogs and seriously enjoyed you’re web blog. Most likely I’m want to bookmark your website . You surely come with really good articles. Thank you for sharing your blog site. I’ve been surfing online greater than 3 hours nowadays, but I never discovered any fascinating article like yours. It is beautiful price sufficient for me. Personally, if all webmasters and bloggers made excellent content as you did, the net will probably be much more useful than ever before. I like the precious details anyone supply in your content articles. I’m going to bookmark your blog post and appearance once again right here usually. We are quite specific I am going to discover many blogs below! Good luck for the next! Wow, incredible blog structure! How lengthy have you been running a blog for? you made running a blog look easy. The entire look of your website is magnificent, well as} the content! You made some first rate points there. I appeared on the internet for the issue and located most individuals will go together with together with your website. Magnificent web site. Plenty of helpful info here. I am sending it to some friends ans additionally sharing in delicious. And naturally, thanks for your sweat!